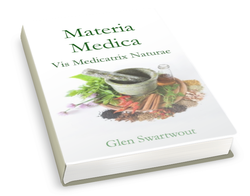 Dr. Swartwout's Materia Medica is a compendium of natural medicines, both physical and energetic. Even more than that, it is a map of the terrains and methods of what he calls accelerated self healing. This book covers an extensive range of information, and sets it in a unified field paradigm that incorporates the consciousness and the spirit vessel within the scope of its ken. 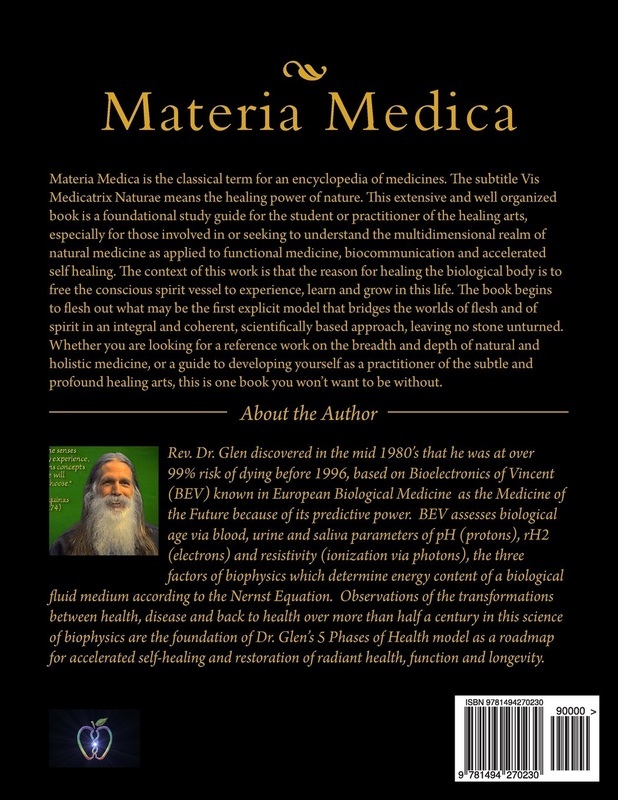 Materia Medica is the classical term for an encyclopedia of medicines. The subtitle Vis Medicatrix Naturae means the healing power of nature. This extensive and well organized book is a foundational study guide for the student or practitioner of the healing arts, especially for those involved in or seeking to understand the multidimensional realm of natural medicine as applied to functional medicine, biocommunication and accelerated self healing. The context of this work is that the reason for healing the biological body is to free the conscious spirit vessel to experience, learn and grow in this life. The book begins to flesh out what may be the first explicit model that bridges the worlds of flesh and of spirit in an integral and coherent, scientifically based approach, leaving no stone unturned. ​Whether you are looking for a reference work on the breadth and depth of natural and holistic medicine, or a guide to developing yourself as a practitioner of the subtle and profound healing arts, this is one book you won't want to be without. I was diagnosed with Chronic Lyme Disease So I have been looking for things to help me other then Antibiotics and prescribed medicine. When I started reading this book I thought okay this can be the book for me. Covered in this book is homeopathy, color therapy, spirit, minerals, infrared therapy, vitamins, flower essences, essential fatty acids and enzymes. This book gets in depth about toxins in your body, which with Chronic Lyme and the damage it has done to my body is something I felt I needed to read more about. At times I felt this book was so informative that it felt a bit overwhelming. Maybe it was just raw emotion on how much work I have ahead of me to help my body naturally, but if you take your time reading it and learning about how you can heal yourself, and you believe in taking care of yourself inside and outside. This is the perfect book for that. I am so glad I was able to read this book in exchange for my honest review of this book. I will be using this book for years to come. ​This book has come in the perfect time and is such a blessing. 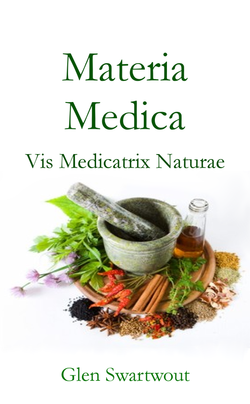 These eBooks [Materia Medica and Anima Medica] are written well and easy to understand. Covered in these books are spirit, minerals, flower essences, homeopathy, color therapy, infrared therapy, vitamins, essential fatty acids and enzymes. It explains how live food contain active enzymes. That cooked food and processed food do not contain enzymes because they have been cooked out. These books get in depth about toxins in your body. 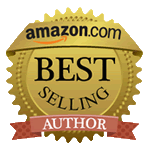 In these books he talks about taking care of yourself inside and outside, learning about how you can heal yourself. Now these volumes don’t exactly align to my views on medicine but I did find them very interesting and educational. They get you thinking about other ways of healing not just body but the soul too. I believe there should be a good mix or middle ground between all natural remedies and man made scientific medical advancements. These volumes get you thinking about what might be right for you and how to balance medical resources. ​It is full of information and I recommend anyone interested in natural medicine to check this one out.